My fellow genealogist, Susan Petersen, has gotten me thinking a lot about technology today. Technology makes me think about productivity because for me technology is a just a tool to reach that goal. While on the topic of technology and productivity I thought I would issue a productivity challenge for a little bit of fun. This challenge involves sharing one productivity tip or solution that has worked for you. It doesn't have to be earth shattering or the best tip, just a change that impacted the way you do genealogical research for the better. Here's my challenge to bloggers - write a blog post and include one productivity tip. It doesn't have to be technology related but it does have to show how you improved the way you research. Then come back here and put the url to your post in the comments. If you are not a blogger you can leave your tip or solution in the comments. Then after a week I'll write a summary of all the posts and tips. I can't wait to hear what you guys come up with! Remember, keep it simple, short and sweet because the idea is to have fun. This tip is really specific so it might not make sense for everyone but I still love it anyway. There is a local probate court that I go to that hands me the original probate file packets when I visit for research. The files contain anywhere from 1 to 100 pages. The photocopies at the probate court are 25 cents each. Sometimes I pull 5-10 files at a time. In order to conserve money I would often skip photocopying the outside of the documents (with their helpful descriptions) or what seem to be less important pages (famous last words). 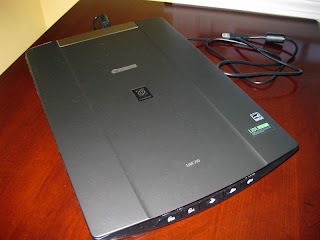 Then I received a tip from my ProGen colleagues about a portable scanner - the Canon LiDE210 . I checked online and was able to purchase for $82.99 (with free shipping). When it arrived I took it for a test run at the probate court. The probate clerk handed me the same original file packets but this time I was able to sit down at a table and more quickly scan all the documents. And not only did I get better quality scans but I was able to scan *every* page. The first day out I scanned 300 pages. At a rate of 25 centers per page that's a total of $75 in savings. I went back later in the week and scanned another 300 pages. Already I had saved the cost of the scanner. While not every court or archive is going to let you bring in a portable flatbed scanner, if you have the option you will save money, streamline your work, reduce overall time by not having to scan photocopies later and have better quality documents which you can zoom in on your computer. This is my favorite productivity tip for the last 6 months. Yesterday I talked about my first experience at a family association conference. So today I thought I would check to see if there are any existing family associations for my some of my ancestral families. I don't really expect to find family associations for the newer lines but I would expect to find some for the 17th century lines. Findings: I am very surprised that I didn't find more family associations, especially for those older lines. I only found one new one, the Bartlett Assocation, and I need to confirm whether that is the same family. I added Clan MacLaren and the Sissons at the end because I knew they already existed. Perhaps my search was too restrictive. Perhaps I need to search for +surname +"Family Reunion" or some other combination. I'm a little disappointed that there aren't more already established family associations in existence. This past weekend I attended my first family association conference. A family society conference (or gathering or reunion) is a get-together of people that share the same surname. Sometimes they all come from the same individual immigrant ancestor, sometimes there are multiple ancestors and sometimes it's the surname that is important rather than a blood connection. In this particular case, I was asked to speak at the Sisson Gathering, a conference for people who are interested in researching the Sisson surname. The organizers make the distinction that is not a family reunion because anyone interested in researching Sissons is welcome whether they are related or not. It just so happens that not only was I an invited speaker but I also happen to be a Sisson descendant (though admittedly with far fewer Sisson generations than most of the attendees). I was very keen to see how a family society conference operates and what the participants share and find important to discuss. The American Sissons originated in Portsmouth, Rhode Island and nearby Dartmouth/Westport, Massachusetts in the mid 1600s. The Sisson gatherings are held every two years in places relevant to Sisson migration or where current Sissons live. This year's conference was held in Albany, New York. Before the actual conference started there was a day or two of field trips to Sisson ancestral homelands and cemeteries in New York. 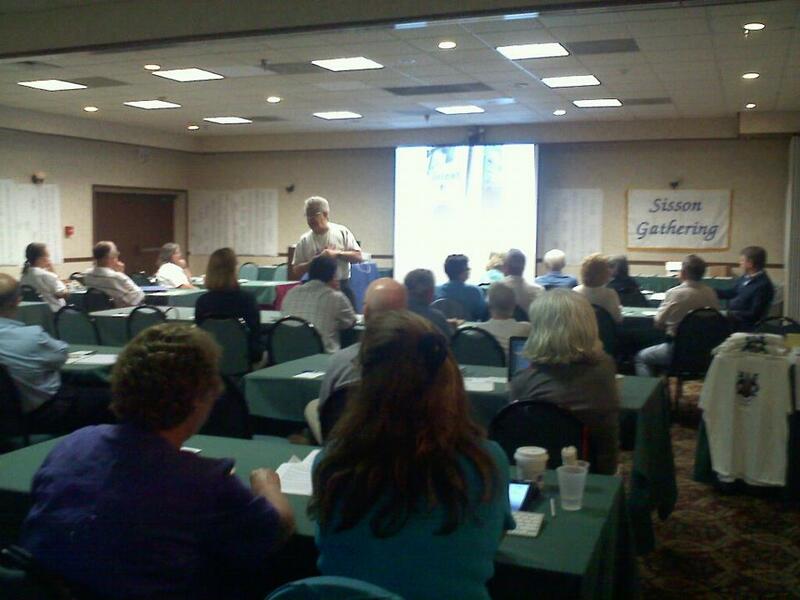 The full conference got under way on Saturday and was a day chock full of presentations about Sissons. The session started with a recap of a recent research trip to England to uncover the parentage of 17th century immigrant ancestor, Richard Sisson. There was a detailed discussion on DNA (there are 3 separate Y DNA groups with the Sisson name), a talk about a Sisson who participated in the Civil War, a story of a serendipitous meeting of two Sissons during a graveyard visit and a recap of the previous days of field trips. I was very touched by the story of one man who talked about meeting his Sisson family for the first time after his parents' bitter divorce during his childhood had kept him from knowing them. It shows that this kind of gathering can be meaningful both in the here and now as well as for connecting with our ancestors. My talk, while Sisson focused, was more history related and discussed the westward migration of Sissons out of New England and into New York. One of the things I found really neat was that there were three Sissons participating from outside the United States. Two were from England and one from Canada. I love to meet people from different countries so it was a special treat for me. But I found it interesting that they valued this type of event enough that they would be willing to make the trip. During the conference I also had the chance to spend time with Joan and David Sisson who wrote the book on the Sissons. It's not often that you use a genealogy surname book and actually get to meet the authors. I also got to meet my closest related Sisson cousin (at the conference anyway) who descends from the brother of my most recent Sisson ancestor, Phebe Sisson. If only I had thought to get a picture of the two of us together. All in all it was a great experience. I didn't feel too out of place even though I only have 5 generations of Sissons compared to 9 or 10 like most of the attendees. I got to meet loads of great people from around the country and the world. And I got a glimpse of how a different side of the genealogical world operates. I'm very glad that they've decided to hold the next conference in nearby Providence, Rhode Island because that means I'll be able to attend again. If you'd like to find out whether your surname has an established family association you can check this online directory. It is not comprehensive though because the Sissons were not listed there. You may have better luck just googling your surname and "family association." Let me know if you've ever attended a family association conference or gathering. I'm curious to hear what your experience was like. 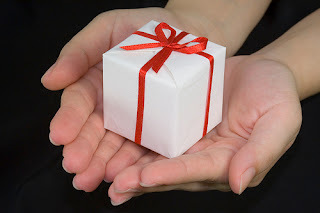 As someone who is active in networking, social media, blogging and the genealogical community in general, I tend to frequently send referrals to many of my colleagues. The referrals are both for client research and speaking engagements. There is one item that consistently stands in the way of my giving out referrals - the lack of a website. Professionals must have an on-line presence! In two instances recently, a networking encounter and a message through my blog from a professional researcher in Europe, both professionals had nothing to provide but a name and an email address. While I applaud the email address, the clients or organizations on the other end of my referral would feel more comfortable being able to see more information about a potential future consultant or speaker. It's not that they don't trust me. They just want to make sure that their future business relationship is going to be a good fit. Getting online isn't hard and doesn't have to cost money. That's why professionals have no excuse for not doing it. Most internet providers such as Comcast or Verizon provide free pages to their customers. An even easier option is to use a non-host dependent (just in case you later change providers) option called Weebly. Weebly is easy to use and free, perfect for getting started online. You don't to create a big complicated site. Just a page or two that provides information about your services and contact information. If a website is still not your cup of a tea, you are lucky to have a second option. If you are truly a professional I'm assuming you have some sort of affiliation with a trade association such as the Association of Professional Genealogists (APG), the Board for Certification of Genealogists (BCG), the Genealogical Speakers Guild (GSG), the International Commission for the Certification of Genealogists (ICAPGen) or perhaps some other group more closely related to your niche. All of these sites provide free profile pages where their members can list their contact information, services, experience and expertise. And the mere fact of affiliation with the organization(s) adds credibility to a professional's reputation. If, as a professional, you choose not to have a website you should be including a link your association profile in all your email correspondence. One of the simplest ways to increase your business or potential business is to have an online presence. Jump-start your business and get online today. Last week I wrote a two-part series on the complexity of using online records. With the easy accessibility of online records sometimes we get lulled into thinking that all the important records are online. Here's a story that will remind you that genealogical gold is sometimes hidden - deep. 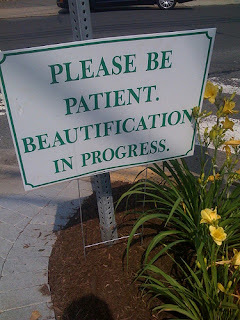 Last week I was researching a beautiful Greek Revival home in Grafton, Massachusetts at the Grafton Public Library. Sometimes, just like with genealogy, it's helpful to visit the town in question to find historical resources. I was looking for information about the house itself and its owners. The Grafton Public Library has a little historical section that contains publications on Grafton history such as the very useful History of Grafton, Worcester County, Massachusetts by Frederick Clifton Pierce (also available online) as well as unpublished historical commission surveys about local houses. The Pierce work is easily found in the library's online catalog. The unpublished historical commission surveys (easily 300+ pages worth) are not. In the historical commission survey on the particular house I was researching there was a bibliography of resources. Two of the items intrigued me: "History of Some Houses on South Street" (1918) by Lucy Biscoe and "Old Houses and Places in Grafton" (1950) by Catherine Warren. Both of these seemed like really good resources. I first searched for them using WorldCat. Neither items were found in the WorldCat catalog. Nor were they found in the online catalog of the Grafton Public Library. I knew that the items existed because they were referenced in the historical commission survey. So I did what any researcher would do, I went to the reference desk and asked where to find the items in questions. I came to learn that the Grafton Public Library has a secret stash of historical manuscripts. These are likely nearly all unpublished. Many of them were presentations to the local historical society and the author shared a printed copy of the talk. The catalog for this secret stash is found in a small index card sized box full of about 100 index cards. They are cataloged with a very intricate, complex system - they are numbered individually 1 to 100! The catalog box is not publicly available. It is kept behind the scenes in an office. In order to get the catalog you need to know it exists and then you need to ask for it. From the catalog you can select the items you want and the library staff will retrieve them for you. Are these items worth hunting for? Absolutely! They contain compiled information likely found no where else. The information is rich in genealogical and historical details. You may need to confirm unsourced information in the manuscripts but they will point you in a direction that was unknown to you and save you hours of work. This story is just one example to help you realize that not all information is online or even cataloged online. Is this so unusual? I don't know about the rest of the world, but here in New England it's not. Many libraries have historical rooms where much of the contents are not cataloged. They just haven't caught up with the backlog yet. The case at the Grafton Public Library was the first time I encountered publications that were so deeply hidden. Pay close attention to bibliographies. If you find resources that look useful to you, make sure you hunt for them because they must exist somewhere. Speak with (or email) the local library or historical society and ask them about local materials that may not be cataloged. Chances are they have some. Offer to scan these resources (if they are in the public domain) for your local library so that they can be made available online. The ones at the Grafton Public Library were limited in quantity and probably could all be scanned in one day. 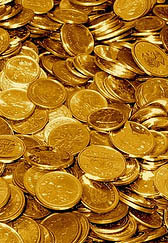 If the resources in your area look like they could be manageably scanned by one person then offer to help. Photo credit: photo by tao_zhyn and used under the creative commons license. Yesterday I introduced the topic of the complexity of online digital records by categorizing them into types. Today I want to take it further by discussing another level that makes using digital records challenging for researchers. The problem is not really with the records themselves but a matter of how researchers use the records. Though I would say that software or data architects do contribute to the problem with their structuring of information. The trouble is that each view or level of information contains different details. If a researcher is not careful and relies too heavily on the information in Index View or Record View then they could be missing critical information that could further their research or solve their brick wall. Let's run through an example to illustrate what I am talking about. There's quite a bit of information here. Enough for me to know that I have found the right person. It includes the person's name, birth date, birth location, passport issue date and residence. 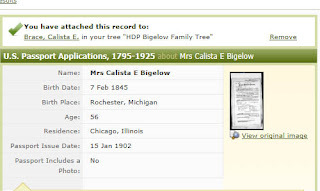 On Ancestry.com after reviewing the Index View you have the option of reviewing the record before looking at the actual image. This is again text based information but includes additional information fields for age and whether a passport photo is included. The last option we have is viewing an image of the original document. The images are longer to load, take more careful reviewing and may require reading difficult handwriting. If you are in a hurry you might stick with collecting your information from Record View. From the original image we learn that Calista Bigelow is residing at 539 North Adams Street in Chicago, Illinois. We also learn that she is 57 years old (compared with the 56 years in the record view) and that she is 5 feet 5 inches tall grey eyes and grey hair. We are also given an original signature that can be used to compare against other original signatures. And of course, we learn that she wants to go abroad "during the year." Unfortunately, she doesn't indicate her target destination. 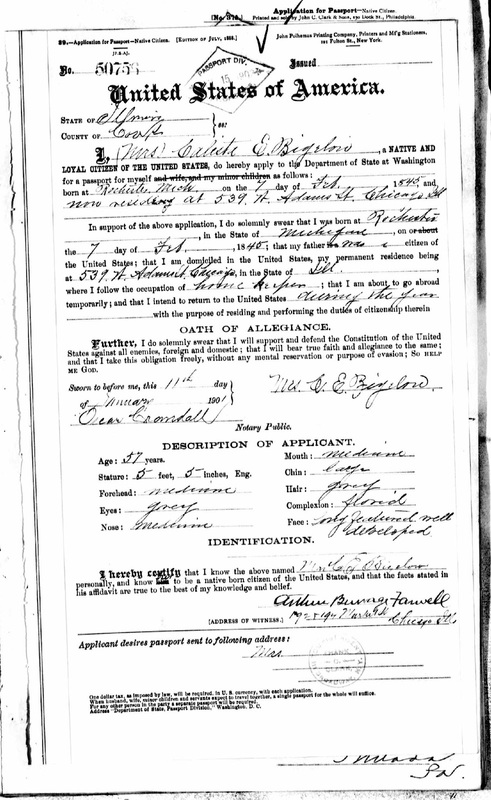 We learn that she applied for the passport on January 11, 1901. This is a full year before the passport was issued. Lastly on this page, we see that the document was witnessed by Arthur Burrage Farwell of 192 & 194 Market Street, Chicago, IL which is likely a business address. As you can see, viewing the original provides much more information than either the Index View or the Record View. Knowing the specific address can contribute in a number of ways to solving brick walls, such as sorting this Calista Bigelow from others. It will also help encourage a thorough search of city directories. The witness, Arthur Farwell, is a critical discovery. Too often genealogists skip over the witnesses on a document. Though Calista is from Michigan, her deceased husband, H.D.P. 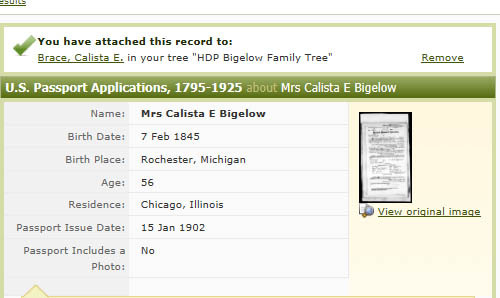 Bigelow was from Massachusetts just like Arthur Farwell (discovered through a quick check on the 1900 census). And a peek at Massachusetts vital records shows that H.D.P. Bigelow and Arthur Farwell grew up in neighboring towns. Would you pursue the identity of this individual further? If I were dealing with a brick wall or doing thorough research I certainly would. So, when looking at digital records, not only do we have to carefully determine what type of records are being presented to us (Online Digital Records, Part 1) but we need to painstakingly make sure we review all levels of information within the specific record group that we are searching to ensure that we have captured every detail that can help us in our research. There's a lot more to online research than you would imagine! It used to be not so long ago that our understanding of digital online records was fairly simple. You remember that time, don't you? When you were grateful that any records were online! Then FamilySearch started putting an amazing amount of records online. Ancestry.com put more online as well and others followed suite. You remember don't you how we classified things? There were online records and offline records. Yes, it was that simple. Today, the classification of online digital records is far more complex. No longer can you simply say online or digital records (digital records after all might not be online). 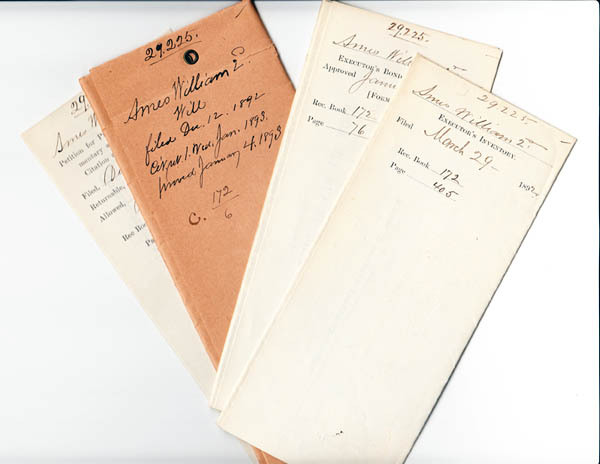 More and more often genealogists have to pay closer attention to understand what they will find before they open a digital online record group. Here are some of the new categories that we need to sort through. These records, of course, are the Holy Grail. The record database is indexed (hopefully accurately) and there is a link to an image of the original record. If we are lucky we can also save the image to our own computers. The 1790 - 1930 US Federal Census records are a classic example of this group. In a few more months the 1940 census will join this category. This type of record database is very helpful in letting us know whether records exist but they stop short of actually providing the records. The records may be digitized and available online from another website or they may be not be online at all. 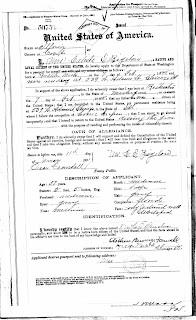 An example of this would be the Massachusetts, Petitions and Records of Naturalizations, 1906-1929 index found on Ancestry.com and the actual images found on Fold3 (though they are indexed on Fold3 as well). These records fall into the category of "I'm so glad the images are online but wouldn't it be great if they were indexed. But I'm not complaining." There are many records sets like this on FamilySearch.org. Probate records are prime candidates for having images available but not being indexed. Illinois Probate Records, 1819-1970 are an example of this type of record. Sometimes the records are sorted by county as in this particular case and sometimes they are alphabetical or chronological. That does help narrow down the needle in a haystack but prepare yourself for a lot of work. However, the alternative of not having them online is worse. When I think of this category I imagine Findagrave.com where you can search the database but what you might end up with is a "memorial" with a text "transcription" (or perhaps just some information not an actual transcription) and no photograph. This kid of online record is helpful because it lets you know the record (or headstone as the case may be) exists. Also, the transcription is helpful as a starting point but in most cases you'll want to verify whether the transcription is accurate or not. Let's not forget about online library or manuscript collection catalogs! This is an important resource that often gets overlooked. Many records, documents and manuscripts that are not digitized have an online presence in the form of a library catalog. The ultimate catalog is the WorldCat index. I find I rely on this more and more because it does not reflect the regional bias that my own local library network tends to show. And if I provide my local zip code, WorldCat will even more impressively tell me where to find the nearest location of the book I am looking for. As you can see searching online is not as straight forward as it used to be. We have to be more aware of what is being provided and try not to overlook important resources like online catalogs. Have I overlooked any categories? Can you throw anything else into the mix? Continue to Part 2 for a look at the levels of complexity within individual online records and the difficulty it presents in extracting information. Genealogists are really excellent networkers. They like to share and they like to help other people. Those are two attributes that will lead to a successful networking encounter. I've had some great networking meetings. Probably the best one ever was a tweetup (twitter + meetup) with Melissa Mannon of Archives Info. Not only was it my first tweetup but it was my first networking event in a cemetery as we had agreed to meet in Forefathers Cemetery in Chelmsford, Massachusetts. When Melissa and I met we talked a bit about what each of us did for work and the direction we were heading. Then we talked about our mutual desire to work together in some capacity and brainstormed a bit about that. We haven't actually worked together yet but that meeting was the start of a very interesting and supportive working relationship. I have another friend that I've been talking to and brainstorming with for several years now. We have been looking for a project that will allow us to work together. It hasn't happened yet but the discussions over the years have helped us slowly build our working relationship and get to know each other. Unfortunately, not every networking encounter goes well. Take for example the coffee meeting I had recently. A week or so ago a person called me up after reading a newspaper article about one of my projects. This person is not a genealogist or historical researcher. She was offering up her illustration services as an artist. When she called me I wasn't sure if there would be a need for her services but I told her I would be willing to meet her for coffee and to see her work. When I arrived she showed me her work which I liked. But I had a sense that what she was looking for was a paid project. In order to clarify the situation quickly, I told her there would be no paid opportunity for her to contribute to. In fact, I was already donating my time to the project. The tone changed quickly. I like happy endings so I discussed with her how I could refer her work to others in the long run. I also discussed ways in which she could get visibility to help build her business. I also suggested to her to get a business card and an online presence. I explained that it is more challenging to refer someone's work when a potential client can't easily access contact information or samples. I spent a lot of time showing her ways in which she could expand her business. Can you sense what happened in this meeting? We spent a lot of time talking about her work and how I could help her. This was not networking. Encounters like this won't benefit both parties unless one of the participants is willing to spend the time to coax the other person along. When you meet someone for the first time it's not about the transaction or exchange. More often it's about determining whether you want to invest time in the other person or to start building a relationship. 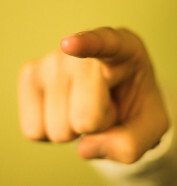 Take the time to find commonalities whether they are personal or business related. Getting acquainted with someone let's them know you are willing to put in the effort for a friendship or business relationship. When you meet someone for the first time make sure the relationship is a two-way street. It's as much about what you can do for them as what they can do for you. It's doesn't have to be something costly or time consuming. It can be as simple as offering your expertise or advice or facilitating a connection with other people. At the very least, show interest in what the other person does for work or a hobby. If you just take and don't bring anything of your own to the table, don't expect the relationship to go very far. I admit this is a pet peeve of mine. 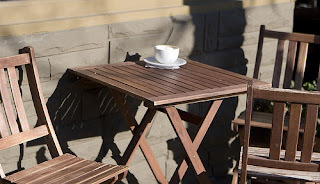 Coffee houses, whether small and independent or large chains, are happy to provide you with a free place to meet. But they are not doing it out of the goodness of their heart. They have water and electrical bills of their own to pay. Please respect them and support them by purchasing a cup of coffee or a muffin. Each person at the meeting should be buying something (or someone should treat everybody). It's one of those unspoken common sense things that shouldn't have to be talked about but speaks volumes about your character if you don't do it. Photo Credit: photo by Seattle Municipal Archives (on flickr) and used under the creative commons license. Dear Genealogical Educators - This is What We Need! I just watched a talk by Warren Bittner that was streamed live over the internet from SoCal Jamboree thanks to the Southern California Genealogical Society. His talk was called "Complex Evidence: What is it? How does it work? Why does it matter?" The talked walked through the basics of complex evidence analysis using the genealogical proof standard and evidence evaluation standards. At the start of his talk, Bittner proposed a question or research objective. Then he went step by step through each record group he searched, applying evidence evaluation along the way, demonstrating the process for the audience. The talk was incredible as a learning tool for the amount of information he was able to share in one hour in such a clear, concise, visual way. Dear genealogical educators - this is what we need! We need to see videos or webinars on case studies of complex evidence or conflicting evidence that also demonstrate use of the genealogical proof standard and evidence analysis. Yes, audio tapes from conferences are nice and helpful too. But this is the 21st century! We really need this information in video or webinar format. Being able to see Bittner's documents and anaylsis visually was critical in allowing the audience to quickly grasp the concepts that he was presenting. A conference audio tape loses all that. I would like to throw down the gauntlet and challenge genealogical educators to dig through their 10, 20, 30 or 40 years or project case studies and pick out ones to transform into 21st century educational tools. Perhaps a webinar will never replace the printed NGS Quarterly but it can work hand in hand with it to further genealogical education and research. Organizations such as NGS, NEHGS and NYGBS should be actively be making the creation of visual or video learning tools a part of their short and long term goals. Warren Bittner's talk was magic. I have been studying these topics for awhile now in my ProGen class and in other arenas. Let's spread the magic, through videos and webinars, so that we help all genealogists get up to standard more quickly. Talk about good branding. I don't even attend the Southern California Genealogical Society's Jamboree and I still think it's fun and exciting. They have definitely the corner as the "Mardi Gras" of all genealogy conferences. They have proven time and again that a regional conference can be both innovative and forward thinking. I hear can you now - "I'm not going to the conference so what should I care?" Short of RootsTech, SoCal Jamboree is providing the best free virtual conference available. The conference, which is happening this weekend (June 9 & 10, 2012) will be streaming live talks from speakers Warren Bittner, Lisa Louise Cooke, Steve Luxenberg, Kerry S. Bartels, D. Joshua Taylor, Barry J. Ewell, Curt Witcher and Laura Prescott. That means anyone, anywhere in the world with an good internet connection and the ability to adjust to time changes (Jamboree is on Pacific Standard Time) can tune in to the conference. In order to take advantage of this you need to register (just like you would for any webinar). Take a look at the Jamboree announcement for the streaming sessions and you'll find the registration links. I've already signed up for a bunch of the sessions. I hope you'll be able to take advantage of them too. 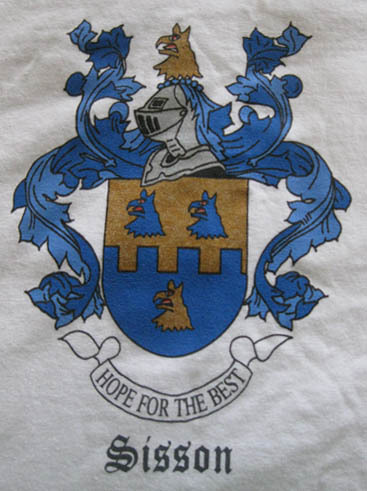 When I wear my house historian and historical researcher hats I am often in the position of researching a single person or a single generation of a family. Genealogists too, may choose to focus their research on their direct lines and skip collateral ones. Yet time and time again I convince myself that we can't see the big picture in research unless we dig deeper. Recently I have been researching Grafton, Massachusetts builder George Clapp (1799 - 1845). The scope of my research involved learning as much as possible about George. There was no need, however, to learn anything more about his extended family or previous generations. Or was there? The basics were fairly easy to come by. He was born in Petersham, Massachusetts in 1799. He moved to Grafton, Massachusetts where he became a well-known builder. He married Melinda Wood of Norton, Massachusetts. He died in Freetown, Massachusetts in 1845. My focus, of course, was on his house building career in Grafton. But one thing kept bothering me. Why did a man from in Petersham, Worcester County marry a woman from Norton, Bristol County? Petersham is the western-most town in Worcester County while Norton is 83 miles east which, even with modern transportation, is an hour and a half drive. Curiosity about wanting to know how this relationship started drove me to research further. I came to discover that both of Oliver's parents - Oliver Clapp and Lucinda Lincoln were both born in Norton. The Clapps and the Lincolns had come to Petersham in the mid 1770s when Oliver and Lucinda were young children. In Lucinda's case, her parents were one couple in scenario where two sisters (the Burts) had married two brothers (the Lincolns) and they had come to Petersham together. This shows that at least three separate families (Clapps, Lincolns and Burts ) had moved from Norton to Petersham at the same time. As far as I know George Clapp never lived in Norton. He grew up in Petersham. Lived his adult life in Grafton and died in Freetown, Massachusetts. His register-style death record did not list where he was buried. The death record for his wife, Melinda, similarly was silent on the burial location. Logic would suggest looking in Grafton or perhaps Freetown for the graves. But where did I find the gravestone of George and Melinda Clapp? In the town of Norton! They were not buried in a Wood family plot but rather with George's parents in a Clapp family plot. If curiosity hadn't caused me to dig deeper into the Norton connection I may never have discovered the location of their gravestone. At this point I still don't know why the families left Norton for Petersham. Nor have I found out exactly how George Clapp came to know Melinda Wood. Further research will have to be done to determine that. But I am satisfied that by researching back several generations I was able to better understand more about the families and their connections thus giving me a much better understanding of the life of George Clapp. As genealogists, we like to share information so that we can further our own research and help others. In some situations sharing becomes more complicated like when you share and someone else uses your information in a book. Sometimes we want to share (or to, er, correct) and our outreach is ignored. Sharing is a sticky wicket. When is sharing ok and when has it gone too far? In most cases sharing is a personal preference or an ethical consideration. Sometimes it can damage a reputation but rarely does a case gone bad go further than that. So I thought I would post today about sharing and open up for discussion about your good experiences and bad experiences with regards to sharing research with distant cousins, colleagues and the press. In a recent public example, Megan Smolenyak wrote this blog post about her experience sharing her research with a journalist. In a fascinating turn of events, one of Megan's follower's wrote in response on her Facebook wall about wanting to share information with the author of a then upcoming journal article only to have the conflicting information ignored by the author. How does that reflect on the authenticity and honesty of the later published article? And of course, we all know the problem of well-intentioned sharing that leads to online proliferation of erroneous information. So let the discussion begin! Have you had a problem when sharing any of your research? 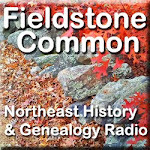 And how involved should the genealogical community be in setting standards or guidelines for something that seems at times to run amiss of common sense? Photo credit: Photo by Asenat29 and used under the creative commons license. Yesterday, I went to the Grafton Flea Market in Grafton, Massachusetts for the first time. Mind you, it's not the first time I've ever been to a flea market but I wouldn't consider myself an old hand. And all the flea markets I can remember were in Montreal, Canada. Surprisingly, or perhaps not, flea markets are much the same in the US and Canada. I didn't have any particular goal when I set out for this flea market. Mostly I wanted to see what types of things they would have available. I was expecting some "old stuff," perhaps antiques. I was hoping that I would find some old photographs. I would like to get my hands on more early 20th century real photo postcards of old houses. I discovered that flea markets have a lot of cheap plastic objects for sale and a colorful variety of clothing and household supplies. There were some old things, mostly old tools. I was very intrigued by those but the practicality of not knowing what to do with them prevented me from buying them. And there were some vendors selling old china, flatware and serving plates. The was a very cool retro deviled egg tray that I had to keep myself from buying. I did find two vendors selling old photos. The photos were an afterthought for these vendors as they were mixed in with an odd assortment of other items. The first vendor had mostly early 20th century portraits mixed in with some early snapshots. He was selling the portraits for $2 each. I asked him how much for the whole lot and he said $10. There was only one photo that really caught my eye. It was a lovely, well-composed professional photo of a toddler. But I held off pending what else I could find. In the second booth with photos I found more 19th century cartes de visite and cabinet cards. It must have taken me at least 15 minutes to look through them all. In that time I had to suffer through the incessant talking of two flea market regulars. I heard more opinions about nothing than I ever wanted to know! I found three photos that interested me. The first was a man in a suit, likely 20th century. What intrigued me about it was that there were writing on the back in another language and another unfamiliar alphabet. The researcher in me really wanted to solve the mystery of what the text said. Another was a local shot that was unnamed. The third photo, also unidentified was of two men in front of an old cabin. Most of the photos in this booth were in the $2, $3, $5 and even $25 each range. The lady vendor said she would give me all three photos for $5. She was discounting down from the $7 price tag for them. I thought about it for a good long time. The trouble is I know I can get photos much cheaper on eBay. The thing that pushed me over the edge was that two of the photos weren't identified, particularly the house. Perhaps I was better spending my money on named photos. I hated to pass up the man in the suit but I walked away. Before I left, however, I stopped back at the first vendor and dug out the photo of the little girl. I offered the vendor a dollar for it and without hesitation he took it. I'm happy with my one prize even though this one is also without a name. But the photograph is so well done and cute that I just didn't care. At the end of my first serious foray into a flea market I had to wonder if I had done it right. How much am I supposed to negotiate? Was I too easy or too hard? I know the lady vendor whom I didn't buy from gave me an annoyed look when I walked away. I feel a sense of guilt too. I felt like some of these folks might be living on the edge and the purchase was more like a charitable contribution in a way. Any of you out there have experience with flea markets? Did I do ok? If you have tips to pass on I would appreciate it. And if you know the best source to buy old photos let me know. I really need to beef up my collection of old house photos. Being a genealogist is great fun but we benefit from it beyond the realm of genealogy. There are at least three ways that genealogy improves our non-genealogy life. Being a genealogist makes me more patient.Nearly everything I have researched has happened in the past. There is no urgent need for immediacy (though sometimes we would like it). The two things that taught me patience in genealogy were surname boards and requesting information. I can post a query to a surname board and then walk away. It may be answered in a week or in five years. I'm in no rush. My main goal is that somebody, someday will see it and answer it. Likewise for information requests. Genealogy has taught me not to get my hopes up when writing to a cemetery for information about my ancestors. They may get back to me in a month or in a year. I simply mail the letter and forget about it (with a note in the log, of course). When it arrives it's a pleasant surprise that I had probably forgotten about. The funny thing about being a genealogist is that you are more interested in what people know and can share than you are about how old they are. In a kind of funny way being a genealogist has made me oblivious to age. My friends range in ages from the 20s to the 80s. And these are genuine friends. Most of them I can't tell you how old they are. I've just stopped bothering to even wonder. One of my friends in 86. We try to meet for coffee several times a month. She makes me appreciate life, her example teaches me how to grow older with grace and she makes me laugh. I feel the tension from the normal work day slip away during that one hour. Our fine-tuned research skills are good for much more than historical research. Need to find that long lost high school friend that you haven't spoken to in 25 years? Ask a genealogist! They'll likely find him quicker than anyone. At Christmas-time when I'm stuck with a friend or family member without a current address - no problem! I check the local registry of deeds for where they are supposed to live and get the address there. How many regular people know to do that?!! Most non-genealogists are unaware of how much information is freely and publicly available on the internet. Having the skills to find the information we need for everyday life makes the daily grind so much easier. I'm sure you must have some other side benefits of your own. What's on your list?